Luzerne County, PA, USA. 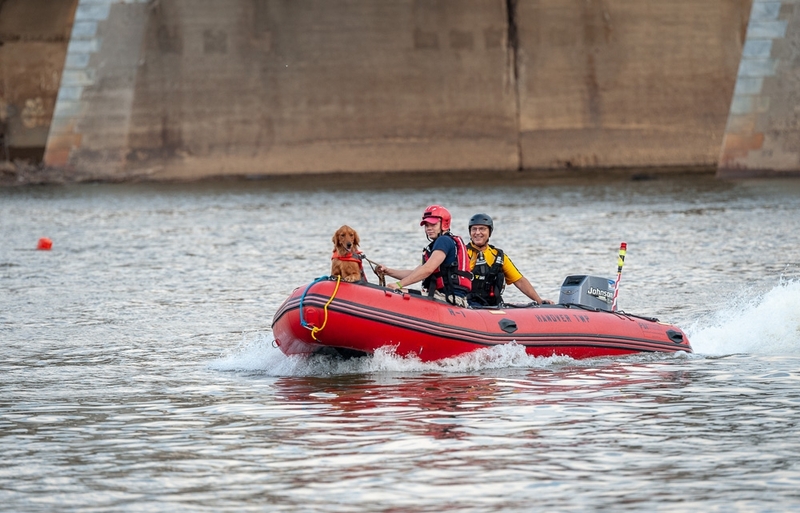 Water rescue team working with an urban rescue dog to get him acclimated to marine operations. I used to have the same kit. Yeah it works well enough and the zoom factor makes me keep it instead of trading it in for a prime. Which version of the 120-300/2.8 do you have? I had version II which had the stabiliser built in. I tried the original version which had the bolt on hood but it definitely required better technique than I could muster on safari. I believe the latest Sports version is amazing. This is the original you had trouble with. It is a low S/N which is known to have the very stiff zoom ring as well. I bought it used around 2004 or so. I've never tried the newer designs.